As I said in my last blog post, I am going off of my preventative medications. Slowly tapering off will take between 5-6 months. 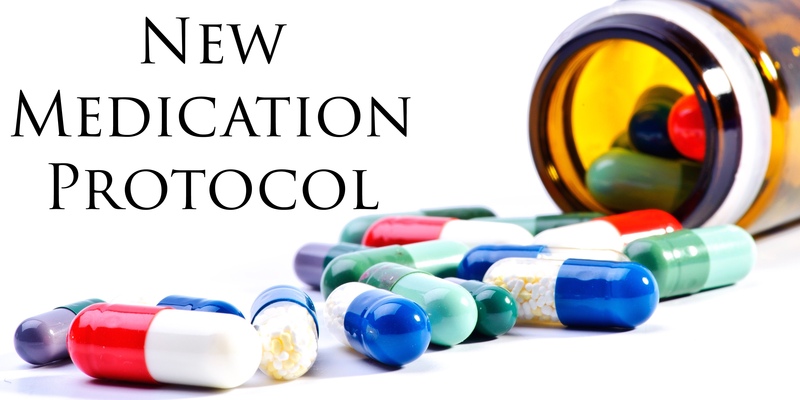 On top of this change, my Doctor and I came up with a new rescue medication protocol. The first part of this is for migraine pain is for my daily migraine. I have had the chance to use this and the results are honestly life changing! Within 15 minutes the intensity of the pain has decreased by half and in an hour it is gone! Saturday I was pain free for 6 hours…the first time I have been pain free in months! Since the name of the med is too hard to say, I am just calling it my Magic Pill! The second part of the protocol is to be used when I am on the road to being Status Migrainous. The goal is to keep me out of the ER and out of the hospital. When I have to go the ER or hospital they give me a cocktail of Toradol, Benadryl and Zofran in my IV. It works amazingly well at breaking a migraine cycle. I have taken this combo in pill form at home and it did nothing. So, we came up with a great solution! My Doctor has prescribed the Toradol in shot form. So, now when I have constant aura I can use the same combo in its most effective form. I am hoping that my Magic Pill will will drastically reduce the necessity for this but it is great to have this option if needed. Yes, a cure is possible!! I’m proof of that. A cure is using treatments to restore health. The key is finding the cause. I found the causes and treated all of it and my 20 years of a daily migraine are gone. I share this with others because it is possible to end the suffering. Management of symptoms isn’t the only answer. I did that for 18 years! I naively believed the medical community for 20 years that there is no cure and no known causes of migraine. It’s completely wrong. My goal is to educate others that it is possible to get rid of them. I wish you the best! Please search for the cause and treat that and you can heal. It took me 20 years but I did it! 20 years of every drug on the market and I’m off all of them! ❤️❤️ Yes, there are causes to your pain and it’s possible to heal!! There is no cure for migraine…yet. But there is management for the symptoms. The preventative meds that are out right now have not worked. I am going off those meds slowly so I can try the new anti-CGRP meds that should be coming out soon. I have been on this journey for 20 years…healing will come.